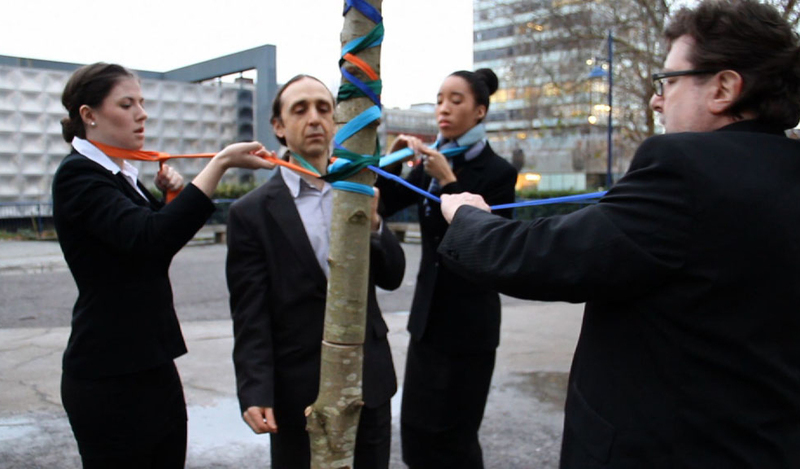 A Public Performance and urban ritual for Elephant and Castle. 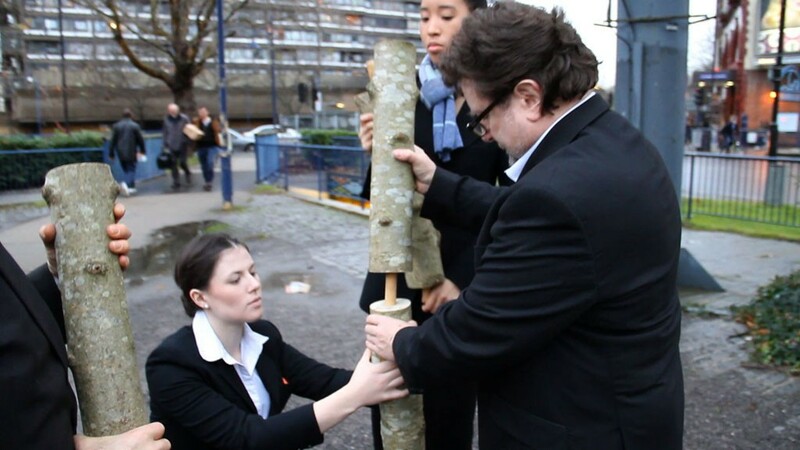 Upstanding is a video of an urban re-enactment of the Maypole a folk dance, but in this instance due to the poles uprooting and instability it is more of a balancing act or team building exercise for the performers. Performed by amateur actors who pretend to be ordinary members of the public perhaps commuting to work. Their performances respond to the social surroundings of the subway tunnels chance interventions into the public space.Credits. 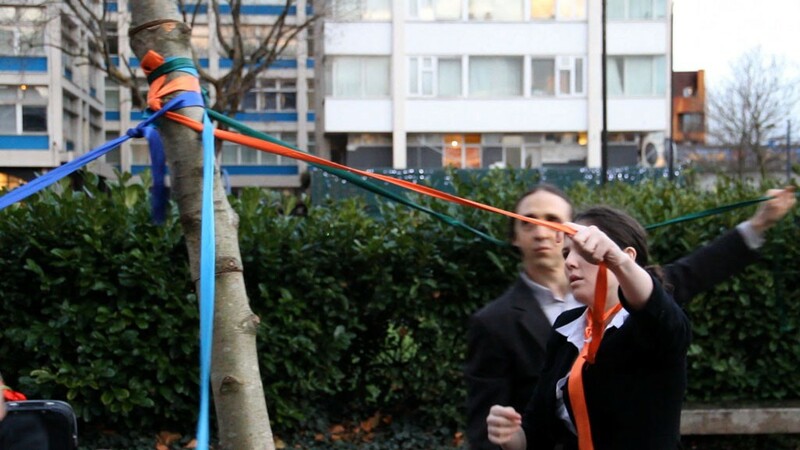 Artist; Laura Cooper, Camera; Laura Cooper, Ian Giles, Angel Ansede , Sound Peter Marsh.